Quantum Vision System by the so-called ‘Dr. William Kemp’ is nothing but a despicable scam, and you should stay away from it! This review is personal because I’m suffering from shortsightedness with -20D visual acuity, and I would have fallen for it had it been I didn’t know any better! This scam has been around since 2014. Its domains are QuantumVisionSys.com and QuantumVisionSys.org. Dr Kemp claims that Quantum Vision System is the cure that will restore your ’20/20′ eyesight in just 7 days. In fact, Kemp claims that his ‘all natural’ solution is ‘the greatest scientific breakthrough in eye-care in over 100 years.’ According to him, it does not matter what caused your vision problem, as the Quantum Vision System will automagically restore your full vision without the need for corrective surgery or wearing glasses/contacts. Well, ‘THE. IMPOSSIBLE.’ IS. A. SCAM. Here is why. 1. Dr. William Kemp is a Paid Actor! After the dramatic intro, you are shown a middle-aged man in a doctor’s coat claiming to be Dr Kemp. He then tries to attack your psyche by asking you to close your eyes and imagine that you’ve been blind ‘for your entire life.’ Don’t listen to that man because he is just a local actor paid to play a doctor character. How do I know this? Read on. At some point in the video, ‘Dr. Kemp’ is shown pulling off random people from a street near his ‘office’ to test their eyes. But KATU reported that the street is not located in Virginia, but in Northwest Portland, Oregon. KATU’s reporter actually tracked down the actor who played Dr. Kemp at his home in Northwest, Portland, OR. His name is Gary Powell. 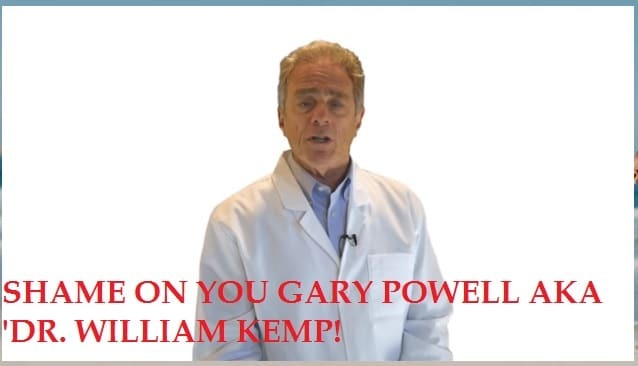 When quizzed, Powell admitted that he was hired by a production company to play Dr Kemp, but claimed that he never saw the video and was not aware that the scammers who hired him did not disclose that he was an actor on their website. Essentially, he is claiming that he did not know that he was being paid to take part in a scam. So as you can see, Powell was only interested in the money, and did not care about the consequences of his action. He should be ashamed of himself! 2. Fake Testimonials. All of Them are Paid Actors! As you would have realized by now, all the testimonials in the video are from paid actors. I tried to track down some of them from Fiverr.com, aka the home of fake testimonials, but I didn’t succeed. This did not surprise me, as the lead actor (Powell) wasn’t hired from Fiverr either. But a close look at the testimonials should tell you that they are all fake. For example, that guy in a baseball cap (below) is clearly standing in front of an artificial, wallpaper background. The very bad acting at the scenes where Powell drags people off the street to prove that his product works is so plain that even in my anger, I chuckled. This guy is standing in front of a wallpaper or screen, NOT an actual building. 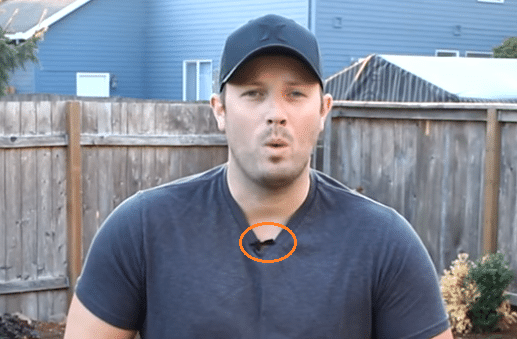 Notice the microphone? That means that his testimonial was staged. So don’t pay attention to them. According to Kemp, Quantum Vision System is based on a research by physician William Horatio Bates in 1891. According to Bates, poor eyesight is caused by habitual straining of the eye muscles. His solution to the strain? Don’t wear glasses, expose your eyes directly to sunlight etc … and your eyesight will be restored 100%. Despite continued anecdotal reports of successful results, including well-publicised support by Aldous Huxley, Bates’ techniques have not been objectively shown to improve eyesight. His main physiological proposition—that the eyeball changes shape to maintain focus—has consistently been contradicted by observation. In 1952, optometry professor Elwin Marg wrote of Bates, “Most of his claims and almost all of his theories have been considered false by practically all visual scientists.” Marg concluded that the Bates method owed its popularity largely to “flashes of clear vision” experienced by many who followed it. Such occurrences have since been explained as a contact lens-like effect of moisture on the eye, or a flattening of the lens by the ciliary muscles. The scammers apparently knew this, that is why Kemp claimed that Quantum Vision System is a modern modification of Bates’ Method. According to him, Quantum Vision System combined Bates’ Method with modern quantum physics to develop a series of ‘simple eye exercises’ designed to align the lenses of your eyes in their correct, ‘natural’ position. These exercises, Kemp continues, will only take you 2-10 minutes per day to complete and in 7 days, your vision will be restored 100%. Now what is the role of quantum physics in eye-care? According to Kemp, quantum physics works by resetting the retina, thereby causing it to transmit visual impulses more effectively to the optic nerve. However, Kemp does not explain how quantum physics resets the retina. So as you can see, this Quantum Vision System is utter nonsense. Please know that quantum physics – a science about how subatomic particles (proton, neutron, electron) interact in the environment and with one another – does NOT have anything to do with the retina. The only time it is ever applied in medicine is in the operation of the MRI machine and electron microscope. Final Recommendation: DON’T BUY Quantum Vision System. It is A SCAM! I don’t even want to go into the part when Kemp claims that his website will soon be taken down because his product exposes the ‘lies’ of optometrists and ophthalmologists. Or the part where he claims that wearing glasses/contacts or having laser procedures will worsen your eyesight and you don’t need them ‘at all.’ Or the fact that a pop-up page prevents you from leaving the site and offers you a $10 discount before putting time pressure on you to buy the product. Save your $37 and use it for something else. Remember that those treatments Dr Kemp was discouraging you from trying (glasses, contacts, laser surgery, intra-ocular lens implantation) are safe, proven ways of vision correction. Wearing glasses does NOT weaken your already-bad eyesight. Rather, not wearing one definitely will [American Academy of Ophthalmology, Mayo Clinic Health System, BBC]. I’ve been wearing glasses since I was 5 years old. Like I mentioned earlier in this review, I’m suffering from severe myopia complicated with, macular dystrophy, astigmatism and congenital cataracts. This has resulted in a -20D visual acuity in my right eye and -25 D in my left. I now wear glasses with optical power of -20D from morning to evening. I only take it off when I’m sleeping or taking a bath or swimming. So now you understand why this review is so personal? If you have used this Quantum Vision System or have any contribution to make, please share with us in the comments. If you want to read more about this scam, then check out reviews from HighYa, San Diego CAN and Zarkbed. The diagnosis I mentioned in the review was made back in 2014. Correcting these problems requires me to undergo 3 surgeries, including phakic IOL surgery. I don’t have enough money to pay for these surgeries so I’ve created a Generosity page to raise more funds. So if you can help, please donate to support me. Want Contra Health Scam’s Newsletter? Sign up to receive periodic alerts about health products. No spam, privacy is assured! According to the Virginia Board of Optometry, William Kemp does not now hold, and never did hold, an Optometry license in Virginia or any other state. Actually, the Middle East is riddled with UV related eye disease….read up on ptergia, cataracts, and basal cell carcinomas. Thanks, I’m reading it now. Obinna, did you try the Perfect-Eyes free PDF download? Did it help any? I haven’t tried it yet. Still haven’t found the time to read it. Don’t bother it’s just a chapter list. The full book will cost you $79! Thanks for your review, I stumbled across the video somehow and was intrigued, but suspicious, not so much as a scam but as in info-mercial…but wait til the last 10 minutes to find out how…to spend your money. Bored after 5 I downloaded it a scrolled to the end to find out about the other ‘free’ books and how to improve my mariage (sic). I do love the use of “Quantum Leap”, a quantum leap is actually extremely small. Someone did post this video on you-tube, I’ve not tried them but it’s free and can’t do any harm unless you allow it (ie if it feels uncomfortable stop). I’ve only downloaded it so don’t know what all the exercises are, the 1st is more like a meditation. The producers of this nearly endless advertisement needed a better proofreader. They even misspelled optometrist among other words. I watched to the end, then decided to look them up and found it was a scam, which I should have known from the start. And today the price was quoted as $47. Bargain days are here again. Mr. Hoelzel, you are absolutely correct; Quantum Vision Systems’ producers need a better proofreader. In fact, with “spell check” so readily available, had the producers been more meticulously “observant” with their own eyes, perhaps they could have produced a more respectful promotional tool. So, it appears that many of us aren’t the only ones whose vision could stand some improvement. And as far as the testimonial actors go; they should all keep their day jobs as their performances were unconvincing and downright pitiful. A fool and his money are soon parted, and the psychopaths running “business” and their “regulators” in government should feel almost as guilty and in need of redemption as the sociopaths running Internet medical scams on desperate or gullible people. Jonas Salk didn’t patent his dead virus polio vaccination and gave it away instead. Because he was born equipped with a soul and normal human decency. You say they refund your money in 5 days but before you said the product helped you so much since you are in Egypt so what your saying is the product is great but you get your refund fast and the only way you would know that is if you got your refund that quick so that means you returned your product! Hi Obinna Ossai (author of this review). Out of curiosity, concerning your -20D & your -25D vision and the -20D eyeglasses your only take off to sleep: why on earth haven’t you tried laser surgery? I know it is very expensive & stuff, but I guess there must be some medical NGO’s operating in the USA who may offer you laser surgery entirely for free or for a fraction of the cost (provided you can comply with some requirements). Thanks for your contribution and your concern for me. As for the thickness of my glasses yeah, they are pretty thick (approx. 8mm). And heavy. But hey, I’m used to it. And my vision is stabilized so far. Concerning Lasik, I agree there are risks. But you shouldn’t let your fear of the risks stop you from trying, as most of them are either temporary, after-surgery discomfort or extremely rare. So go ahead and see an ophthalmologist (if you haven’t yet), who will evaluate you and determine if you are a suitable candidate for the procedure. I wish you all the best. You can always contact me here anytime! Hi. I wonder if you could visit the Philippines. We have a government hospital here in Cebu that does eye surgery for 5000 Philippine Peso, that is about 100 USD. Not sure, though, if they accept tourist patients. I will have to ask the hospital if you are interested to know more. Do email me. This is the most obvious scam I’ve ever seen! Never fall for text that contains spelling errors like “amerture” for “amateur” ….. holy cow how dumb are the scammers anyway? Yuri, you sound like a shill for the quantum scam. Yeah he is. He posted the same thing on HighYa’s review. Yuri – apart from the aspect of the actual product … what worries me is why do they ask for all your ID and other details that REALLY is not necessary for a simple transaction? When it got to that bit – I stopped – so obviously a scam. Have you had any problems with people scamming your accounts since then? I want to know more about the product. My mother lost the vision for an eye is losing the other. @Basil: Really? How true is that? My brother in Ecuador was diagnosed of diabetes, and later lost sight in one of his eyes. He developed high BP that caused blood to cover retina of the remaining eyes. Please, does anyone has idea of what could be done to enable my brother regain his sight? I will be grateful if any solution is possible. Thank you. I was suspicious right from the start. Not even sure how I got linked to the web sight. The whole thing had the feel of yet another scam attempt. I doubt that a real eye doctor would use the phrase perfect 20/20 vision. 20/20 is average vision and there is no perfect vision. What harm can it do. The method is just eye exercises. You do not have to pay though. Those exercise are available to all. Carol Mc Grath how does a person get these eye exercises without ordering? I would love to have the exercises to help strengthen my eyes and not wear glasses. Will someone share the exercises? Why do you write something like this if you haven’t even tried it? I’m not saying it works or doesn’t work but if my vision is bad, I would want to give everything at least a chance before knocking it. Seems odd that you badmouth something natural and alternative to what you know WITHOUT EVEN TRYING IT!!! Just saying. My apologies, it was an Ophthalmologist, not an Optometrist that examined my eyes. It’s been some time ago and I forgot. Contact lenses cannot damage your optic nerve. How dumb are these scammers? 2-modest eye issues might gain a mite from exercises, along with rest, more sleep, diet, etc. 3-tricks like not wearing sunglasses makes the iris close down more, which increases visual acuity and depth of field similar to a camera’s smaller f/stop setting. Clear plastic lenses block most UV without darkening the view, while dark glasses reduce vision especially in lower light. Have you actually tried this? Thank you for this very elaborate research! Could you please let me know what you think of the below video of a vision repair system. Is this one legit? Is it real? The video and everyone in it is real. However, I don’t think that this kind of treatment is for everyone. Besides, it’s dangerous to sleep with your contacts still on. Its not dangerous. I’ve been using those ortho-K lenses for 15 years. I found one office in Philadelphia, PA that uses this technology and one in Charlotte, NC (when I moved). Not every doctor knows about them, you have to google for the doctor in your location that uses orthokeratology in his practice. They are rigid lenses but allow eye to “breathe”. Yeah I actually read more about the technology and it’s not dangerous to sleep with it still on. My earlier comment was in reference to the common contact lens. I’m sorry if I confused anyone. Another example of the truth of the old saying: if it seems too good to be true, then it’s not. I stupidly bought it to try. Worked on it for over a month everyday at least 20 minutes a day no change big scam. Can’t say enough bad things about it. Do they not know that the average attention span of a person is like 5 minutes?? I have NEVER ordered their products, because I have never watched their STUPID 45 minute, droning on, story (lie) telling, videos! Thank you, for presenting factual evidence, telling the world that all of this is just,….. Poop!!! If a report against a scam is also a scam….which seems to be the case with info given by people who have tried the exercises….well the whole world is a scam. Scams can be used to get money falsely and scams can be used to stop free ways to get what you need. They should be called scamuters. Yuk!!! And I hope I didn’t waste my money but I have before many times. I’m easy prey for criminals. KetoWeightLoss.com Supplement Review: SCAM Warning! 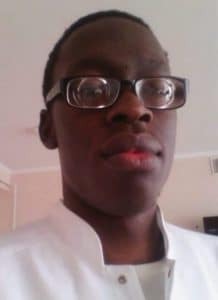 Obinna Ossai on KetoWeightLoss.com Supplement Review: SCAM Warning! Copyright © 2019 ContraHealthScam.com. All rights reserved.